Casting, eh? It’s a tricky business. 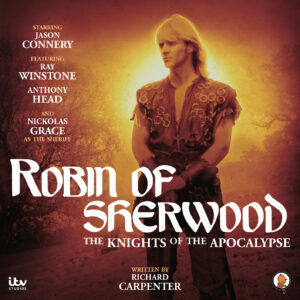 The original cast of Robin of Sherwood: The Knights of the Apocalypse was very different to the one in the finished audio. This was due to a change of production company (three cheers for Spiteful Puppet! ), which meant re-casting completely. I’m sure the original cast would have worked fine but, as the then sole Producer, I wanted a production that I felt worked for me. That might sound egotistical but, as a fan of the show, I had a clear view of that audio and my aim was to cast main people who you could imagine would have appeared in the series in the 1980s, if it had continued. You hope, as a fan, you’ll have the same sensibilities as other fans. Sometimes you do, sometimes you don’t. My posting of an April Fool suggesting I had cast ‘80s top comedians Cannon and Ball as two guards in Nottingham Castle amused some and horrified others (who didn’t get the joke). Aside from our main series regulars, who are a given, it’s always like playing a game of Fantasy Casting when you make an initial list for the guest artists. For me, there’s never a front runner for a role. I make a list of actors that I think would play the part perfectly, all in their unique way. Then, you start approaching agents or – if you’re really lucky – are able to sound out an actor in advance via a direct contact. The very tricky bit, when you’ve made your initial list, is who do you contact first? From saying there’s never a front runner, you then have to put those actors for one role into a preferred list. I do this randomly but it’s simply that you can’t approach a handful of actors with the same role at the same time! So, this brand-new series of Richard Carpenter’s Robin of Sherwood on audio was a challenge. Mainly because our budget is so incredibly tight. If you’re looking at something like Big Finish’s Doctor Who range, then their regular cast for a production is probably about five actors at the most – two or three of which are series regulars (i.e. a Doctor and companion(s)). However, with our adventures, the regular cast who all appear number ten; and that’s not counting in roles such as Herne, King John and Edward of Wickham, who could certainly be classed as series regulars but may not appear in every episode. 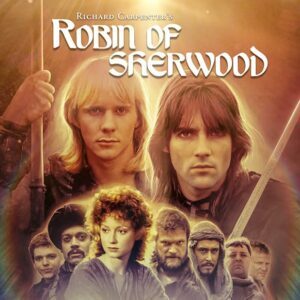 We’ve got Robin, Marion, Much, Little John, Will Scarlet, Nasir, Friar Tuck, Abbot Hugo, Gisburne and the Sheriff. That is a HUGE cast for an audio production and that’s before you’ve added on the guest cast. So, carrying on the tradition of the series, where a ‘name’ would appear in an episode as a guest villain or some main role, I’ve tried to make that happen for each of these four adventures in the Series 1 box-set. In about 70% of the cases, the actors I’ve contacted first on my list have been available and were happy with the role and the fee. However, we’ve already had some who were unavailable but who, we’re assured, would love to be part of the series and to keep them in mind for Series 2 (if we manage to get there!). We went for some BIG names. Those that weren’t available were interested, and that’s a good thing. So, we should have more lead time into pre-production on Series 2 and, if we do get enough orders to cover a budget for a second series, then I can re-approach actors who expressed an interest but who weren’t available – depending if they fit a role in any new scripts! Here’s an exclusive – I haven’t cast Sarah Greene. Ha. One of my initial thoughts for one of the roles was Sarah Greene, of Blue Peter and Going Live fame (alongside Philip Schofield and Trev & Simon, she was a live television series presenter for the BBC who had originally been a very good actor). I thought, as a name who was big in the ‘80s and still so loved today, she would be perfect. However, literally on the day I was going to approach her agent, it was announced that she was returning to acting by appearing in Strangeness in Space – an ongoing series written by and starring Trev & Simon, thus reuniting that Saturday morning television team. My heart was full of joy and also sank at the same time. When you cast certain people, you also have to think of the publicity angle – as you want the series to reach as many people as possible. Sarah Greene reuniting with Trev & Simon is a brilliant bit of publicity and, had I then cast her as well, it becomes somewhat diluted. So, she has remained uncontacted but it’s very exciting to be able to hear her soon in audio form with Strangeness in Space! What you try and do in casting is hear a voice. You read the scripts and, often, an actor’s voice will pop into your head as you get to know the character. For example, with “Knights of The Apocalypse”, I could just hear Colin Baker’s voice as De Ridefort instantly – that arch delivery and clipped way of speaking, with moments of disdain and coldness. He had that in spades in his breakthrough role in the TV series The Brothers and carried some of it through to his initial portrayal of the Sixth Doctor in Doctor Who. Plus, going back to what I said earlier, he was a big name in the ’80s, when the series was on television, so he was perfect casting. Of course, the great thing about audio is that you don’t have to act your age. Some people’s voices age or change over time but a good actor can often mask that. Or, some people’s voices just stay youthful. 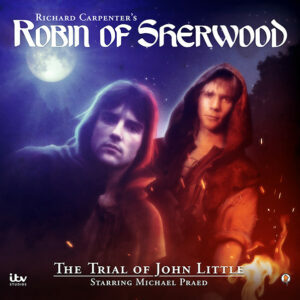 So, you can cast young or old without worrying about the age of the actor playing either, if the voice is right. This opens up many more possibilities than television and means that there is a much wider selection to pick from, when casting. I think you’ll love the cast I’ve nearly assembled for Series 1. There are some great names confirmed already and a few more I still have to bag. But, we’re nearly there. Then, the mammoth task of scheduling the scenes to record against the availability of the actors comes into play. We’ve got a rough guide already, so we can employ the right people for the right day. But, there’s always a shifting sands approach to such a large production and things can alter drastically right up to the recording days in studio. However, I’ve been working really hard to make sure that Series 1 is cast in the very best way it can be, so that these four NEW adventures come alive in your head as you’re listening to them. Now, does anyone have Tom Cruise’s number? I still want him to cameo as Arthur the Rat.